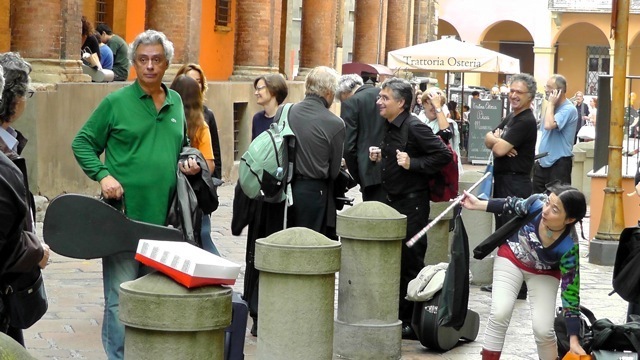 L’iniziativa nasce nel 2011 in collaborazione con la Lute Society. La Società del Liuto partecipa con i suoi iscritti alla formazione di un’orchestra di liuti combinando strumenti di fattura e intonazione diverse e plasmando un repertorio che viene appositamente arrangiato dal direttore, Gian Luca Lastraioli. L’organico strumentale di circa quaranta elementi, comprende liuti in La, in Sol, tiorbe e chitarroni, chitarre barocche e rinascimentali; il repertorio comprende arie di danze, brani di polifonia vocale e musiche varie del normale repertorio rinascimentale. Collaborano diversi cantanti. 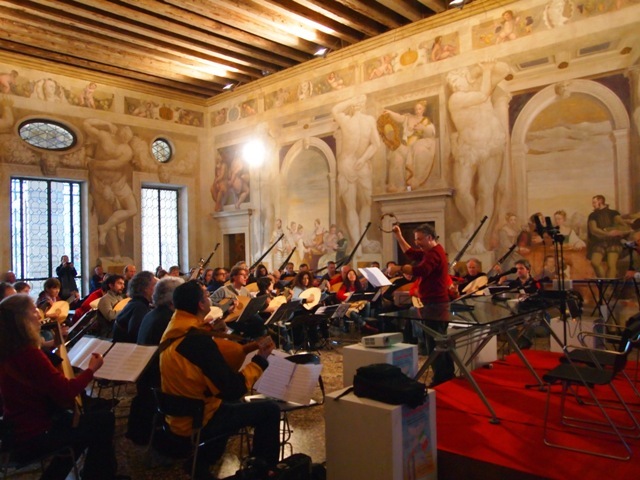 Il primo concerto si è svolto a Vicenza, al Teatro Olimpico, il 16 aprile 2012,con il sostegno di Aquila Corde Armoniche di Mimmo Peruffo; sono state eseguite musiche di Praetorius, Negri, Kapsberger, Monteverdi e Gabrieli. Un secondo concerto si è svolto il 27 ottobre 2013 presso l'Oratorio San Filippo Neri a Bologna nell’ambito del S. Giacomo Festival. Anche in questa occasione vi è stata la partecipazione di un consistente gruppo di liutisti della Lute Society, più alcuni professionisti provenienti da varie Società del Liuto europee. 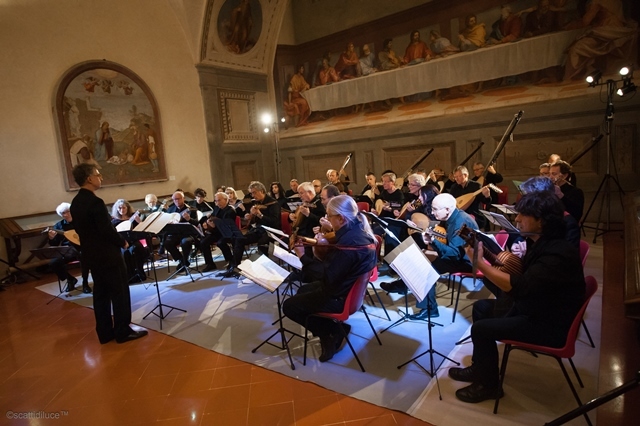 The European Lute Orchestra, founded in 2012, is dedicated to recreating one of the most glorious lost sounds of the renaissance and baroque eras – the sound of the massed lute band. It is currently the only such orchestra in the world, and typically fields 40 players for a concert. 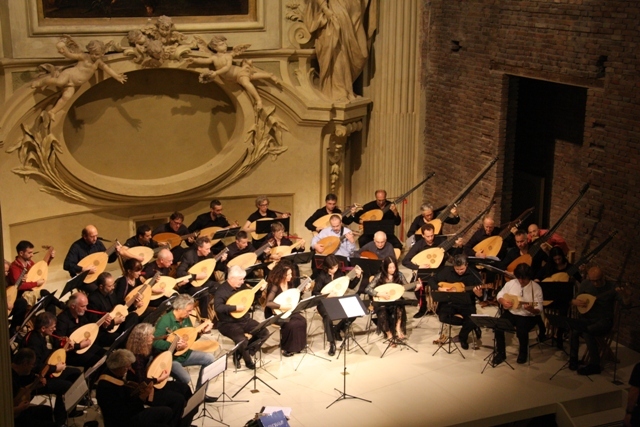 The range of instruments played, from small mandolins to the biggest long-necked lutes (theorboes, chitarroni, archlutes and colascioni) gives the orchestra a uniquely rich sound. To give balanced and satisfying programmes, the orchestra works with talented young singers, to interpret baroque vocal works for one, two or three singers and continuo. Our current programmes include works by Praetorius, Monteverdi, Luzzaschi, Peri, Castaldi, and Merula. 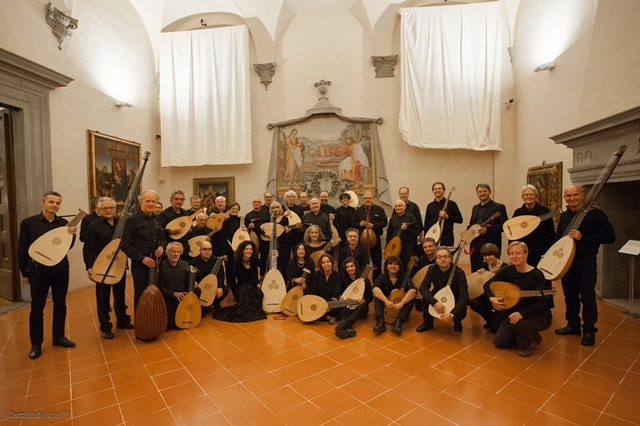 The European Lute Orchestra, directed by Professor Gian Luca Lastraioli, has a core of experienced professional lute players of international standing. The 'second desk' players are semi-professional or good amateur players, many of them professionals in related branches of music, such as lute makers, lute and guitar teachers or music administrators. This is a truly international group, with members from Italy, France, Germany, UK, Poland, Slovenia, and the Americas. 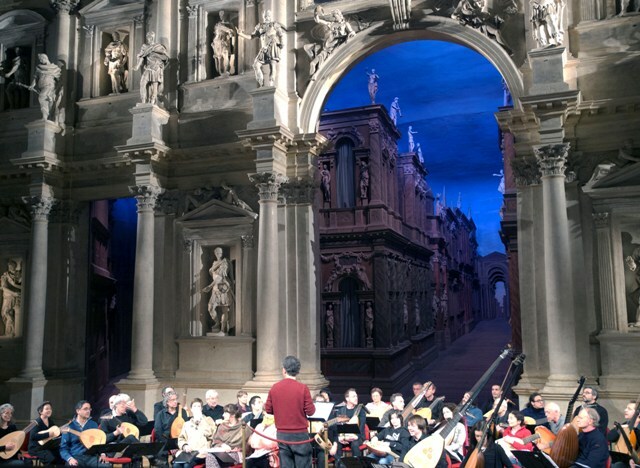 The Orchestra gave its debut concert in 2012 at the Teatro Olimpico, Vicenza (the world's oldest theatre and a UNESCO world heritage site) with the generous patronage of Aquila Strings of Vicenza, and has since performed at the Oratorio S, Filippo Neri in Bologna, in 2013. Not surprisingly, given the unique nature of the orchestra and its performances, tickets for these concerts sold out completely. Of course the orchestra performs to best effect in visually or aesthetically striking settings. Because it is a treat even for leading professional players to play in such a remarkable ensemble, most are prepared to play pro bono. If the host organisation or festival has a 'Friends' organisation, many musicians will be very pleased, in a spirit of international friendship, to stay with families, if this can be organised. We do, however, like to recoup some of our costs, which should be easily possible out of ticket sales; please contact us to discuss our fee.